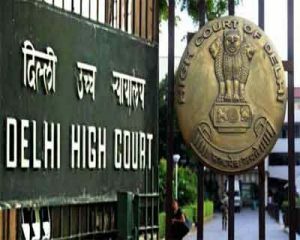 NEW DELHI: The Delhi High Court asked the Centre to ensure adequate treatment to an HIV positive man whose services were terminated by a private hospital due to the disease. The High Court was hearing a plea by a 26-year-old father of two kids, who has challenged the termination of his service at a private city hospital after he tested HIV positive following some accidental needle pricks he got during the course of his work. A bench of Acting Chief Justice Gita Mittal and Justice Anu Malhotra directed the counsel for the Centre that since All India Institute of Medical Sciences (AIIMS) fell under its control, it should therefore be conscious that the man is given adequate medical treatment. The court also issued direction to the member secretary, Delhi State Legal Services Authority (DLSA), to examine his case and see whether the man can be accommodated in any job under any of their scheme. The man, who did not want to disclose his identity, filed the petition under the name ‘Pxxx’ and said he was thrown out of his job for over a year now. Taking note of the plea, the bench issued notice to the Centre, the Delhi government, the hospital were he was working and other authorities and sought their replies by August 9. The Centre, however, questioned the maintainability of the appeal. In his appeal, the man through his counsel Ashok Aggarwal has challenged the November 2016 order of a single judge who held that since he was employed through a contractor, he could not contest his termination as violation of his fundamental rights. To this, the bench remarked “we do not know whether we would also be able to give any relief to this extent. But we can ensure proper treatment to him”. The man, in his plea, has said that he suffered three to four needles pricks while working at a laboratory and had informed the hospital management about contracting the disease during work. However, he was never administered Post Exposure Prophylaxis (PEP), which is a requirement in such situations, as per National Aids Control Organisation (NACO) guidelines, his counsel submitted in the court. The advocate alleged that the hospital does not provide PEP or free medical assistance to staff working on contractual basis. “The petitioner told his superiors about the needle pricks, but they told him not to worry,” the plea added. Last year, the petitioner went for an HIV test and was shocked to find the result positive. “I could not believe the reports. I got a sample tested from a private lab and also at AIIMS. I was HIV positive,” he said. The counsel contended that soon after the report, the petitioner learnt that he had lost his job. His contractor also did not help. After battling depression for some time, he decided to fight. “My family believes I am suffering from blood cancer. I cannot tell them the truth. I felt like committing suicide at one point. I keep thinking what was my fault,” the petitioner said in his plea.